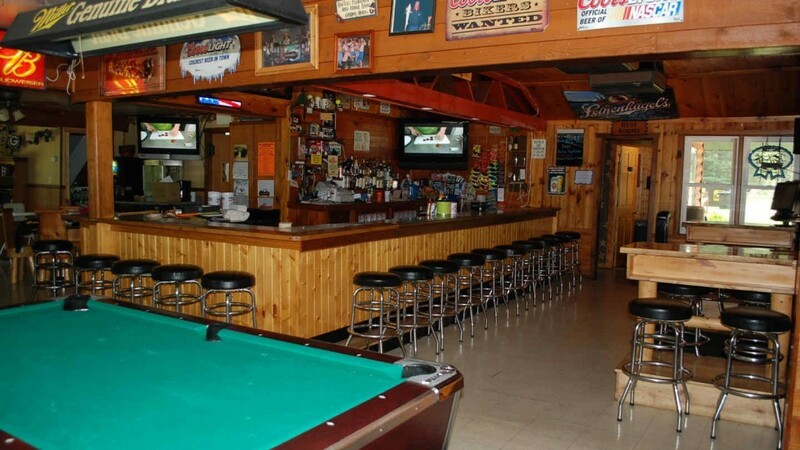 The Rustic Inn has a fully stocked bar with liquor, wine, draft, canned and bottled beer, energy drinks, soft drinks and juices, even cappuccino. Happy Hour is 3:00 pm to 6:00 pm Monday thru Thursday and features $1 tap beer with other daily drink specials. There are lots of snacks and a popcorn machine if you need something to munch on with your drink.